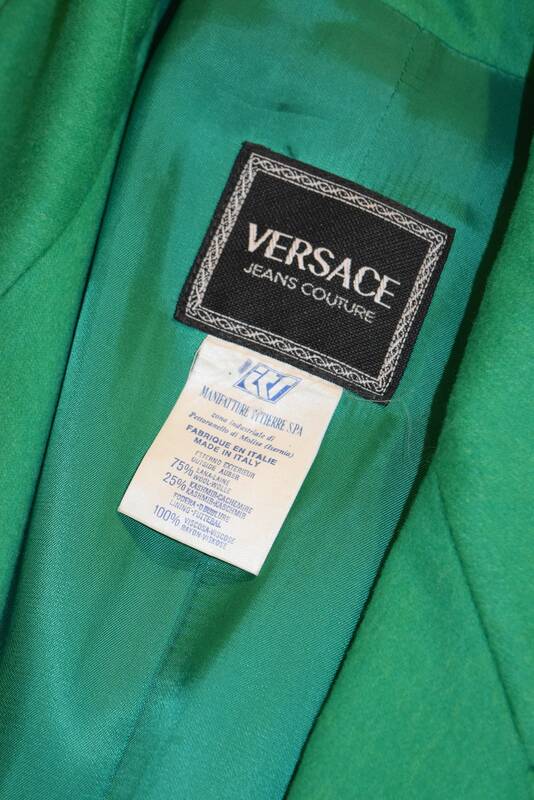 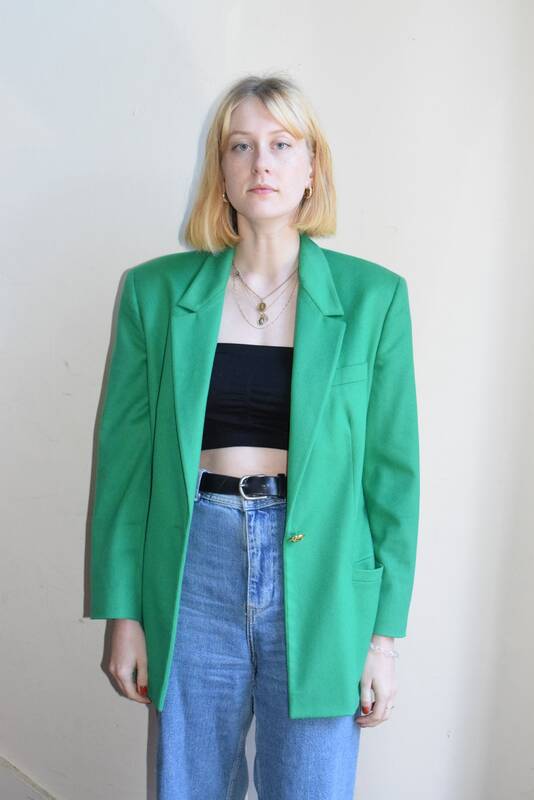 Vintage 90's Versace blazer in a vibrant emerald green with matching green lining. 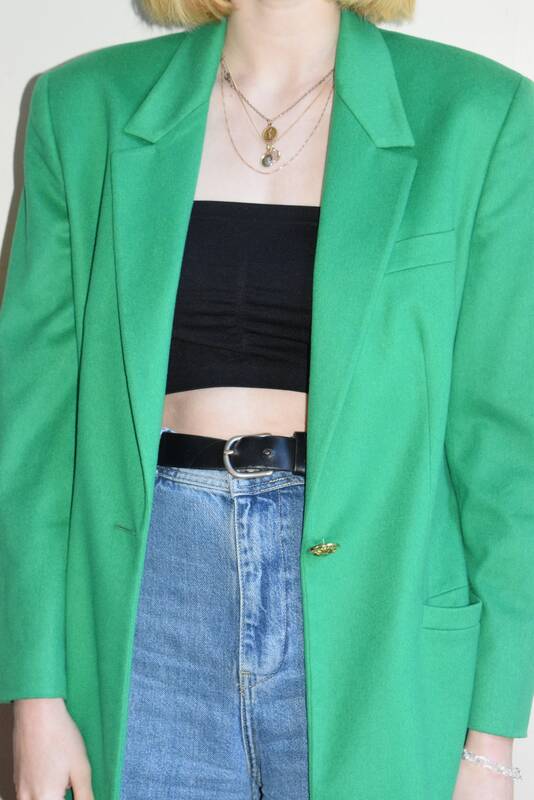 Blazer has long fit, pockets at hips, and an oversized gold medusa button at waist. 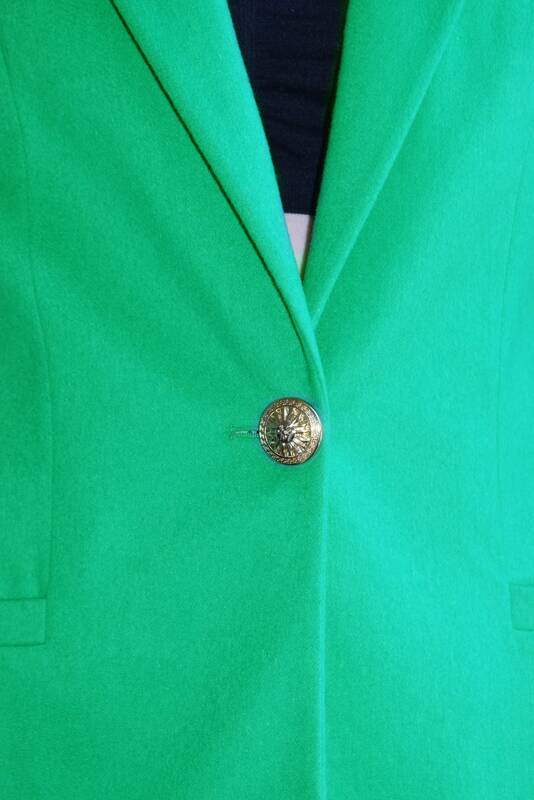 Smaller gold buttons at cuffs, subtle shoulder pads. 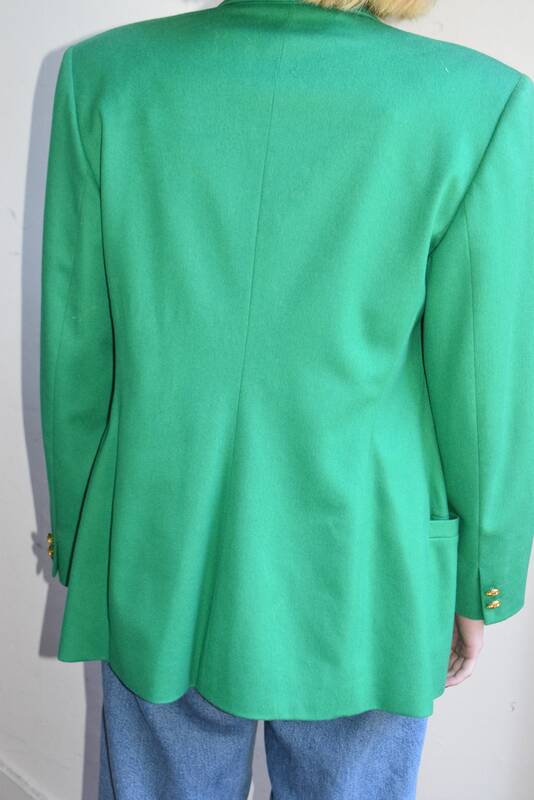 Shoulder width 17.5" || Sleeve length 23" || Bust 40" || Waist 35" || Hip 38" || Length from back of neck 31"